The business boasts over 1000 years of activity, with the earliest testimony to Cusona’s existence dating back to 994 AD. The Cusona estate spreads over 530 hectares and is situated amongst the green Tuscan hills, close to the medieval town of San Gimignano (known as the medieval Manhattan). Throughout the centuries, the political and economic weight of the Strozzi and Guicciardini families, with their illustrious figures, has influenced the history, not only of Tuscany, but also of Italy and Europe. Francesco Guicciardini, for whom Niccolo’ Machiavelli started his political career as secretary, became a prominent political figure, acting as Governor of the Papal States as well as being a philosopher and historian. The Strozzi were powerful bankers, heads of State and mercenary commanders. As direct rivals of the Medici, they were banned from Florence following the rise to power of Cosimo dei Medici. Nevertheless they increased their enormous wealth elsewhere, which enabled Fillippo Strozzi, once back from exile, to build the magnificent Palazzo Strozzi in Florence. Piero Strozzi was Marshal of France and commanding officer of the French troops. His bust is displayed in Gallery of Battles in Versailles. 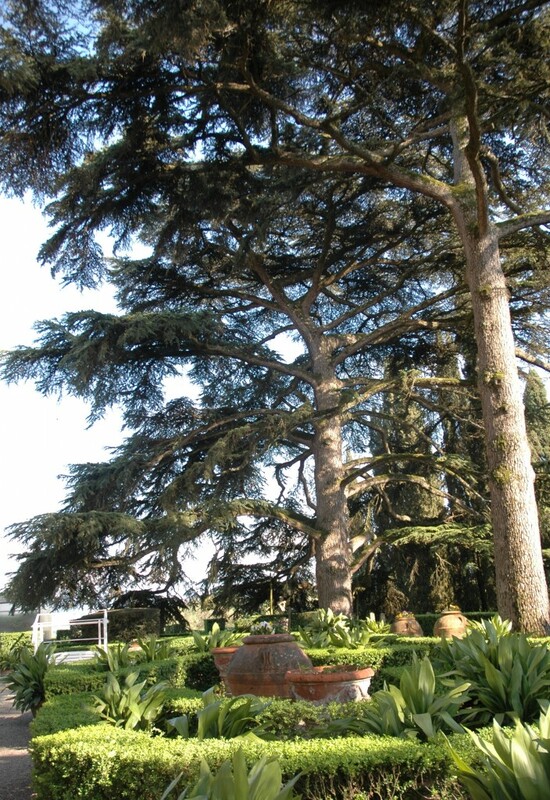 During the XVII century the descendants of the Guicciardini Strozzi family were united in marriage in London to the Marlborough’s, the family of Sir Winston Churchill. Amongst the illustrious ancestors a special mention should be given to Lisa Gherardini del Giocondo, otherwise known as La Gioconda, painted by Leornado da Vinci. 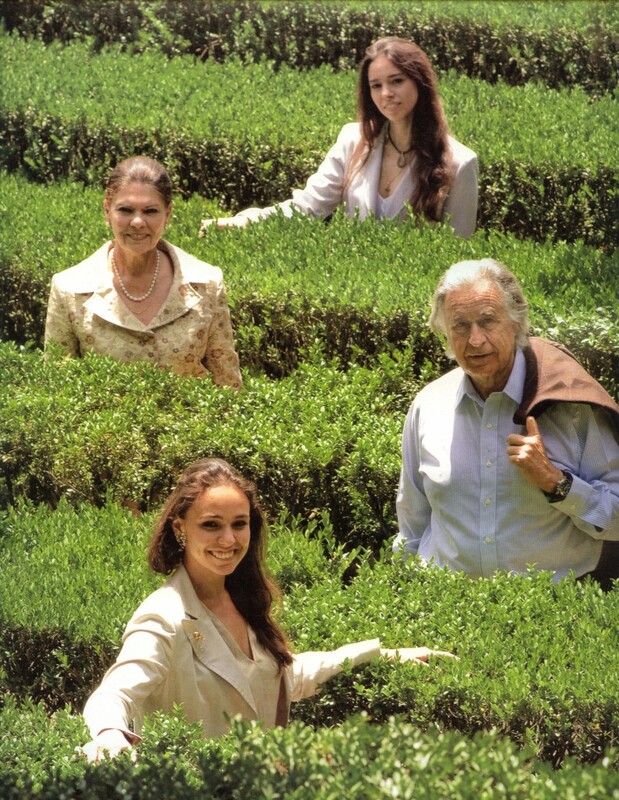 The current members of the family are the 15th generation of descendants of Monna Lisa. 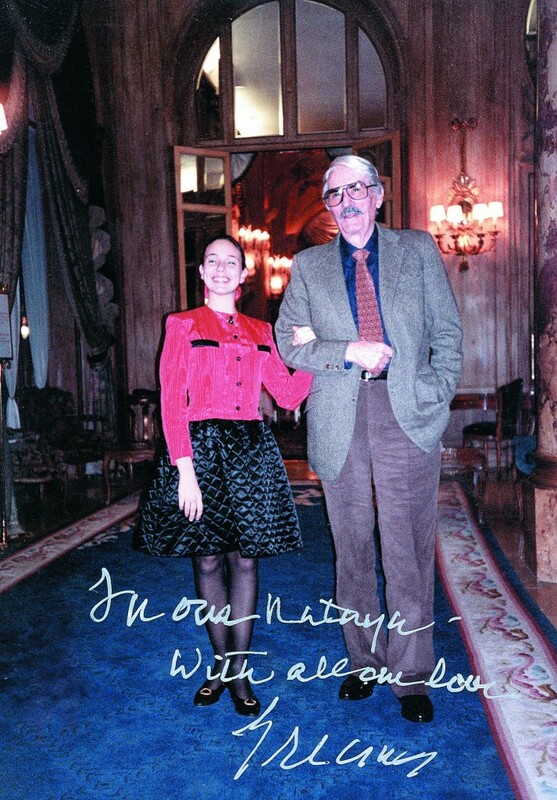 More recent family friends include Gregory Peck and the Kennedy family. 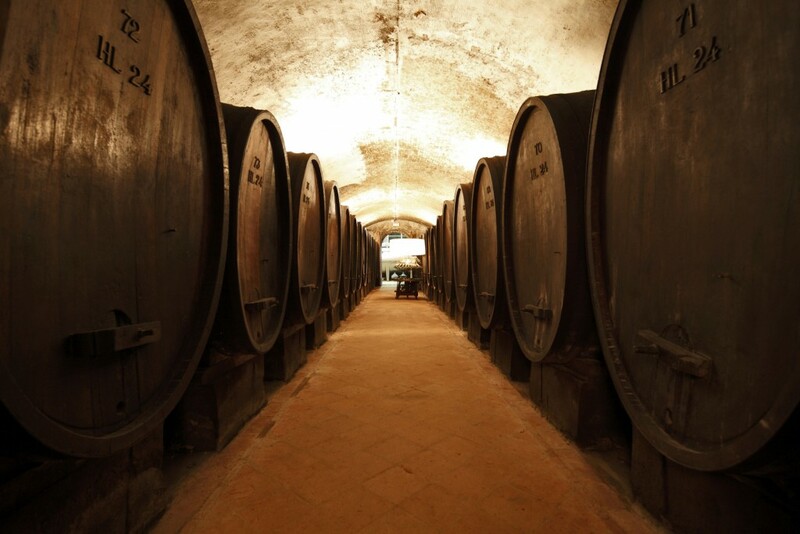 In 1850 the building of a cellar with underground galleries was started under the leadership of Francesco Guicciardini, Mayor of Florence and Minister of Agriculture and Foreign Affairs and married to Luisa Strozzi. At that time Cusona became a prominent national example of avant-garde business. 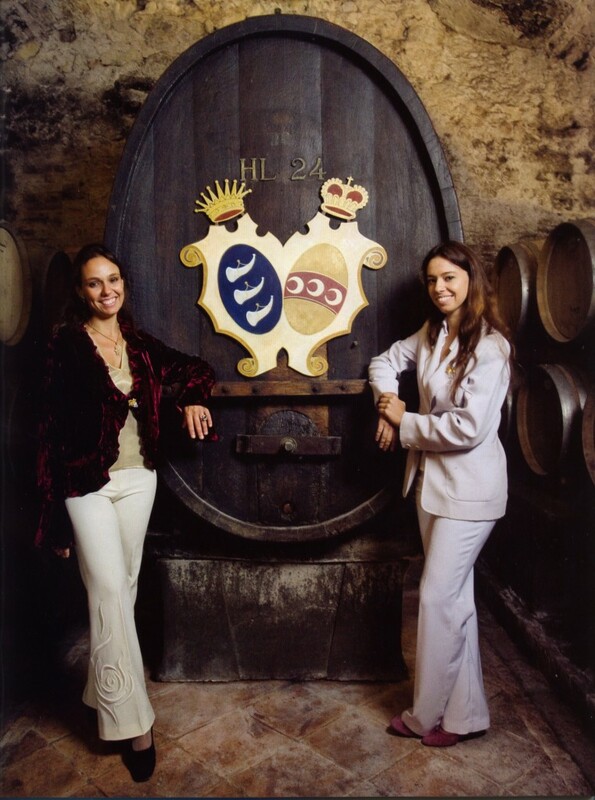 In the 70’s, the current owner, Prince Girolamo Strozzi started selling the wine around the world, a business he still runs with his wife Irina and his two daughters Natalia and Irina Jr. 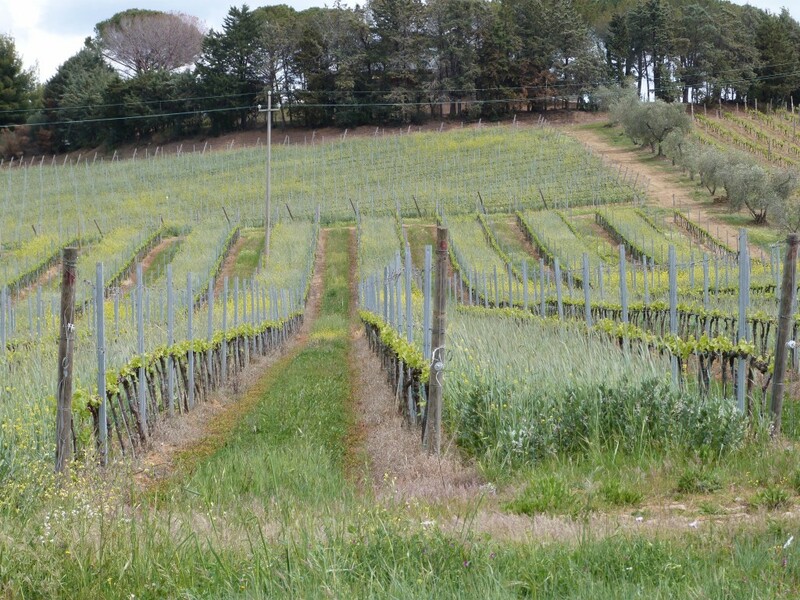 In 1999 the wine production extended to other areas such as Maremma (Bolgheri, Scansano, Montemassi) which allows the Guicciardini Strozzi winery to produce an intriguing line-up of Tuscan wines. Amongst the best known labels is the Vernaccia di San Gimignano, which was produced for the first time by the winery in 1200 and exalted by Dante, Michelangelo and Boccaccio. The Medici Court enjoyed the Vernaccia and also sent it to the Pope. 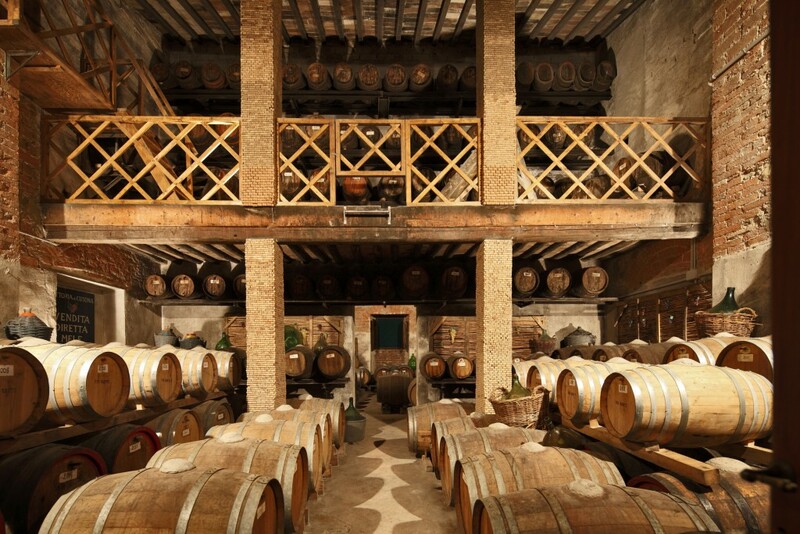 A small property in Pantelleria yields a small quantity of passito, so limited that it is not commercially available. 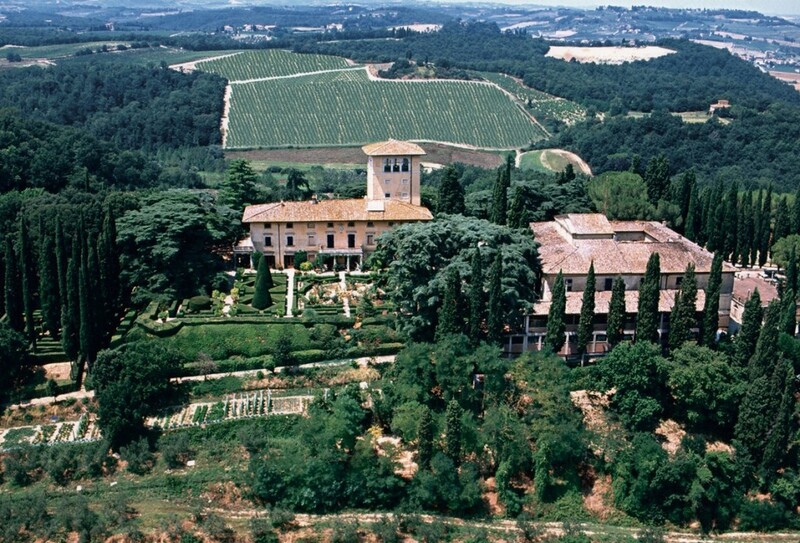 Aerial view of Villa Cusona, the main property in San Gimignano. 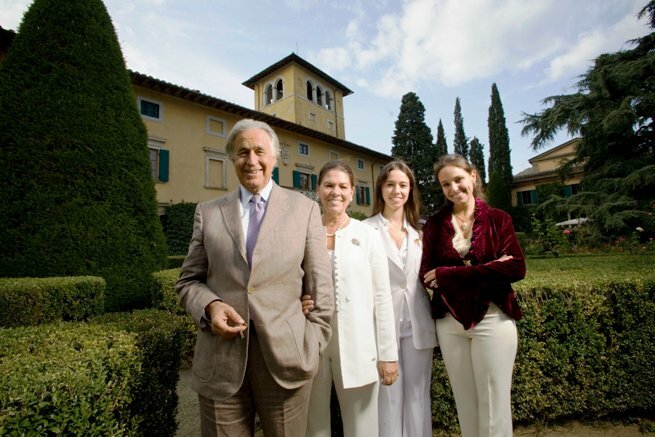 The Family owns 3 additional properties in the Maremma, Scansano and Pantelleria. Strozzi vernaccia was one of the first vernaccias ever to be imported in the United States. The family is very close to many heads of state and dignitaries. 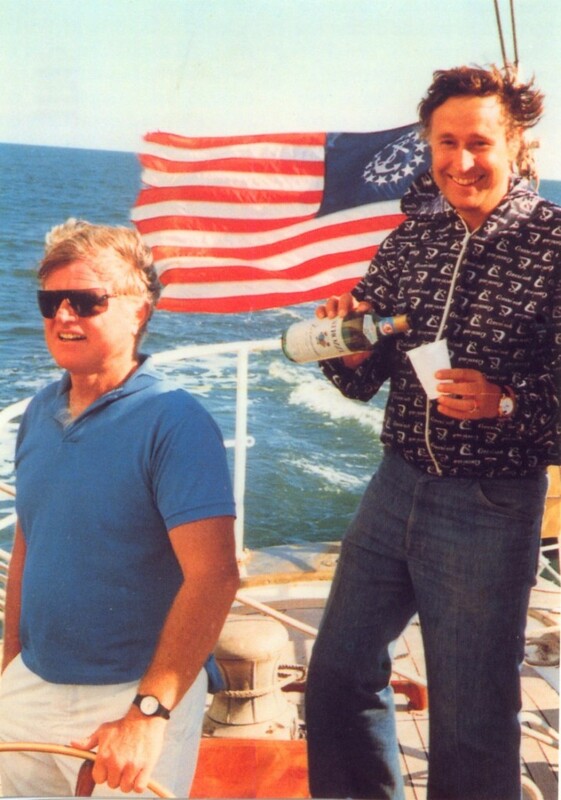 In this picture, Prince Girolamo enjoys vernaccia on a sailboat with Kennedy.